Running long stretches of Ethernet cable can be a pain. That’s when a Cat5e cable box can be a godsend. Not every Cat5e box is the same, though. 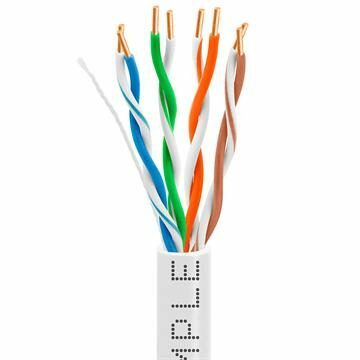 Our box of Cat5e is specifically-designed to make the job as easy as possible, with smooth feed and foot markers to help with the task – features you won’t find with a box of Cat5 you might pick up at a store. What’s inside the box is equally important, though. 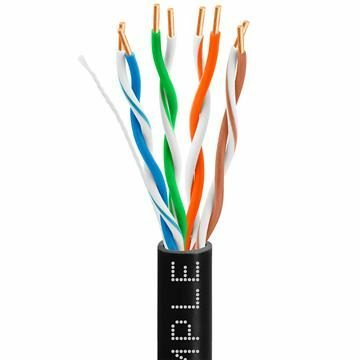 Cmple’s Cat 5e 1000ft box contains 24AWG cable that is also specially-designed, meeting or beating all requirements for efficient Cat5e transfer of data on networks all the way up to gigabit Ethernet. 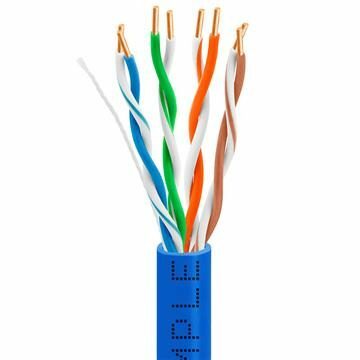 Every Cat5e roll is available in your choice of white, black, gray, blue, green, orange, yellow, purple, red or pink jacket, and we have options ranging from standard and in-wall to plenum and outdoor-rated, plus your pick of CCA or bare copper conductors. Not every Cat5 cable box is the same; our 1000 foot Cat5e cable box is, quite simply, better.